2018 was a good year for pregnancy books! If you’re interested in pregnancy (or find yourself pregnant… squee!) AND love to read, you’re going to love this to-do book list. 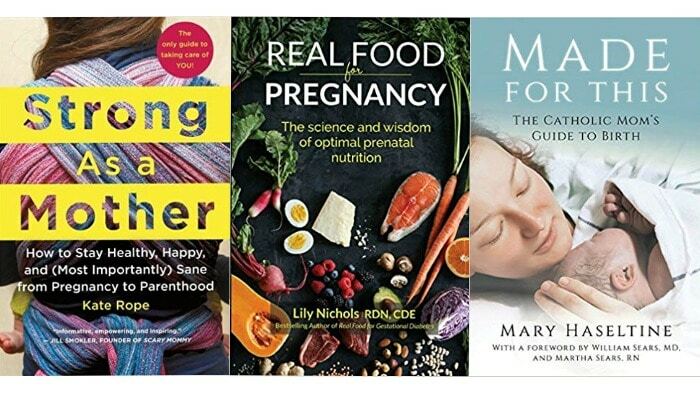 The best pregnancy books of 2018 are a solid pick that will encourage you towards a healthy pregnancy, natural childbirth, and happy postpartum. Confession: I like books, specifically pregnancy books, but I also really like creating book lists. I had no idea how many of these book list I’ve made over the last few years, but turns out there are A LOT. For example, here are the last three years worth of “best of” pregnancy books for that particular year. If you need a book to read for your particular stage in the journey of pregnancy, girl, I’ve got you. And the icing on the cake, here’s my top pregnancy book picks of all time. 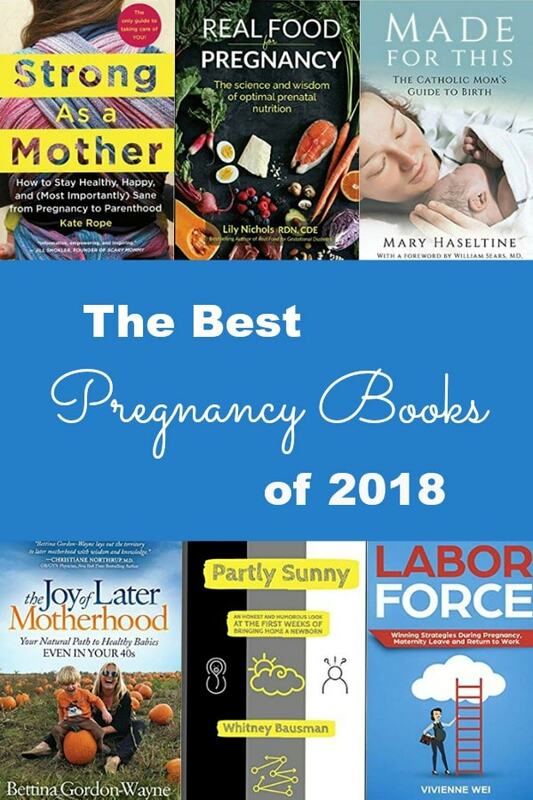 Without further rambling about book lists, here’s another comprised of the best of the best pregnancy books of 2018. Let’s get started! NOTE: Some of these books can be read for free with Kindle Unlimited. If this is the case, I’ve made a note beneath the summary for each book. Summary: The Birth Partner is a “must have” book all pregnant people that plan on delivering their baby (ahem, that’s 100% of you!) should not only read, but also own. This book is required reading for most doulas-in-training, and is a wonderful resource for any person looking to have more of a hands on role during childbirth. The visuals are very helpful, giving parents lots of ideas of things to try for pain coping. My favorite part? The Birth Partner is made to be easily navigated during childbirth so that when something unexpected comes up (which WILL happen, by the way) you can use this book as a timely resource to navigate the unknown. Summary: Penny Simkin did it again with the newest edition of Pregnancy, Childbirth, and the Newborn! If every woman that ordered What to Expect When You’re Expecting “accidentally” received this book instead, I’m convinced the world would be a better place. Seriously! I believe that the family unit is the foundation of society, and unlike the afore mentioned book, Pregnancy, Childbirth, and the Newborn helps parents set themselves up for success! Summary: Made for This is not for everybody. For example, if you’re not catholic, or a Christian for that matter, scroll on by. However, if you are, you will find this book to be a breath of fresh air, inspiring, and eye-opening. Mary Haseltine, wife and mother, childbirth educator, doula, and a graduate in a degree in theology, beautifully intertwines the Catholic faith and navigating childbirth in a book that will knock your socks off. Many readers especially love the appendix which houses scriptures, prayers, and quotes from saints that can be used before, but especially during the birth itself. Summary: Sure, pregnancy, childbirth, and becoming a mother is a physical experience, but because of our humanity, it can never be separated from our mind and spirit. Becoming a mother involves the whole person and necessitates responding to it in kind. Strong As a Mother is a compassionate guide that navigates pregnancy from the lens of self-care. Topics include mood and eating disorders, setting boundaries, managing anxiety, finding mom friends, prioritizing exercise, and is full of pragmatic advice, but not in an overwhelming “let’s make a to-do list a mile long sort of way”. Summary: For women that are employed during pregnancy and expect to return to work after birth, especially for those that value their career, Labor Force is a must-read. Author Vivienne Wei navigates readers through the delicate balance of work and family, in a no nonsense, strategic, compassionate manner. I really loved her ideas about finding and developing a tribe of like-minded women for support and camaraderie, advice about how and when to tell an employer of a new pregnancy, navigating sleep deprivation, and even strategies for expectations with a spouse. I’ve never read a book like this before – it’s about time! Summary: If you have an interest in birth or midwives, and love a good story, Midwife: A Calling should be on your nightstand. This is not the first book I’ve read from Peggy Vincent, and same as the previous, this doesn’t disappoint. Vincent walks readers through more humorous, bizarre, heartbreaking, nail biting stories of her career – a midwife. And if you’ve ever met a midwife, you know they’ve got some REAL GOOD stories. 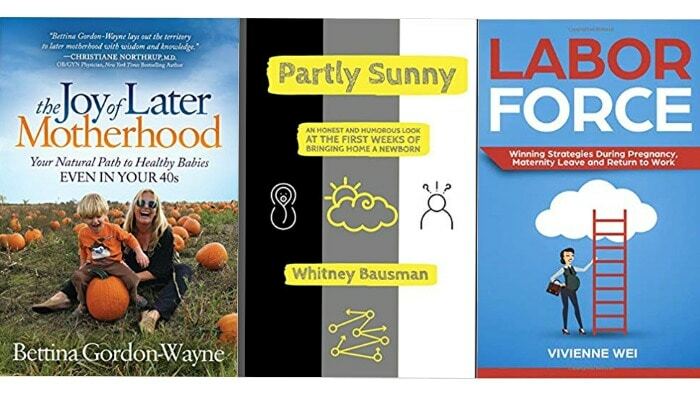 Summary: Your Best Pregnancy Ever is the perfect book to begin learning about the pelvic floor, what it is, and how it impacts the lives of women. The pelvic floor may perhaps be the most undervalued or talked about topic discussed during the childbearing year, but author and physical therapist Jen Torborg, hopes to make that stigma a thing of the past! Through a very frank, simple, and informative discussion, readers learn to identify, properly strengthen, and use their pelvic floor for a healthier and happier journey to motherhood. Summary: The Joy of Later Motherhood captures the magic that takes place when older folks become parents. Not only does the author convincingly convey the possibility of a geriatric pregnancy (isn’t that term fun? ), but also that these same people will make amazing parents. The interviews and research presented in The Joy of Later Motherhood leaves readers feeling encouraged, less fearful, and that pregnancy in your 40s is a wonderful (and possible!) choice. Summary: If you are curious about the early days of parenting and love you some honest and funny, hyperble, Partly Sunny is right up your alley. Reading this book is like catching up with a close friend that just had a baby who has a strong desire to paint an accurate picture of the day-to-day with a newborn. Partly Sunny is a quick read that gets your head in the game, adjusts your expectations, and makes you smile. I loved it. There you have it – the best pregnancy books of 2018! I hope these books will leave readers feeling encouraged, informed, peaceful, and prepared in all aspects of becoming a parent.